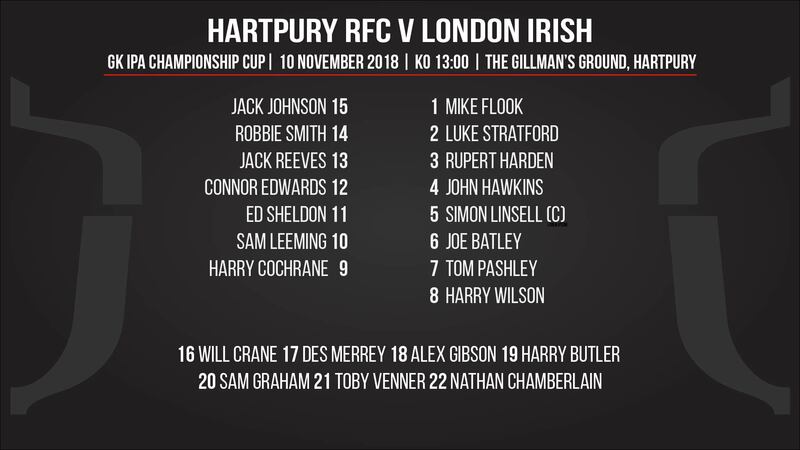 Hartpury have named full of youth for the first-ever visit of London Irish to the Gillman’s Ground in the opening round of the brand new Championship Cup. 15 of the squad are either current Hartpury students or recent graduates, while skipper Simon Linsell is not long out of student rugby himself. The current BUCS Super Rugby squad is well-represented, with a number of players stepping up from the recent win over Northumbria. Jack Johnson makes his first RFC start at full-back, as do Robbie Smith (wing) and Harry Wilson (Number 8), although the latter two were both involved at Bedford. Jack Reeves makes his second start at centre, where we also welcome Connor Edwards, making his debut in-loan from Newport Gwent Dragons. Toby Venner and Nathan Chamberlain, the current BUCS half-back pairing, are on the bench. There are three further very welcome ‘imports’ from Bristol Rugby – all young – one of whom, Joe Batley, will need no introduction to the Hartpury crowd. He is joined by John Hawkins (lock) and Sam Graham (back row).